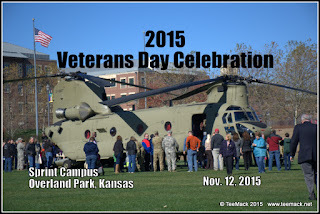 The annual Veterans Day Celebration at the Sprint Campus in Overland Park, Kansas on November 12, 2015. 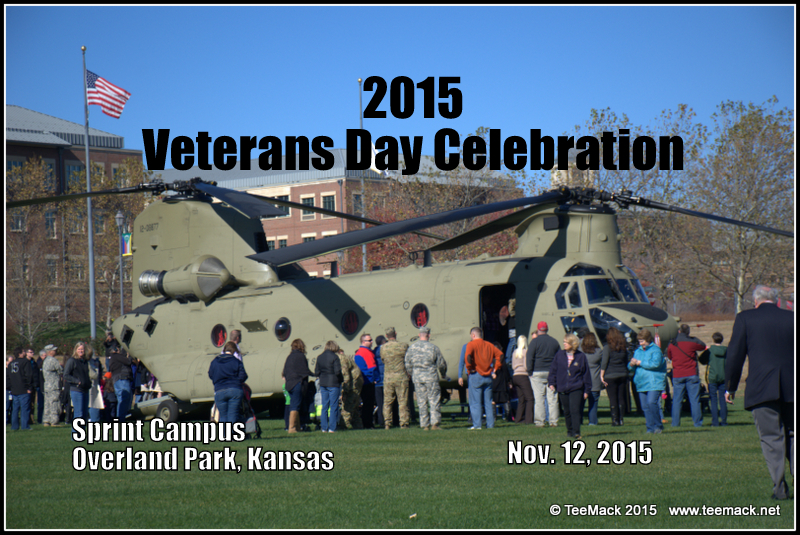 The annual Veterans Day event is sponsored by Sprint, UMB, Black & Veatch and the City Of Overland Park, Kansas. Units from Command Generals Mounted Color Guard from Fort Riley, the U.S. Army Heavy equipment, The Lawrence U.S. Army Band, The American Legion, The Vietnam Veterans of America , The 1st Division from Fort Riley, the United States Air force, The Enhanced Veterans Services, The Beechnutz formation flying team, The Johnson County Sheriffs Department, and the Overland Park Kansas Police Department were in attendance. The morning started off with the playing of the National Anthem, with a fly over of two U.S.A.F A-10 Warthog Airplanes. 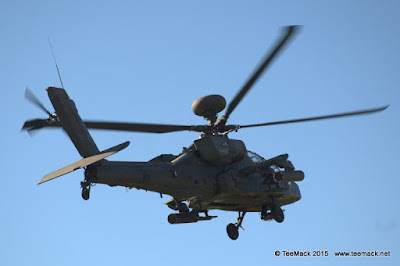 Then three helicopters landed. 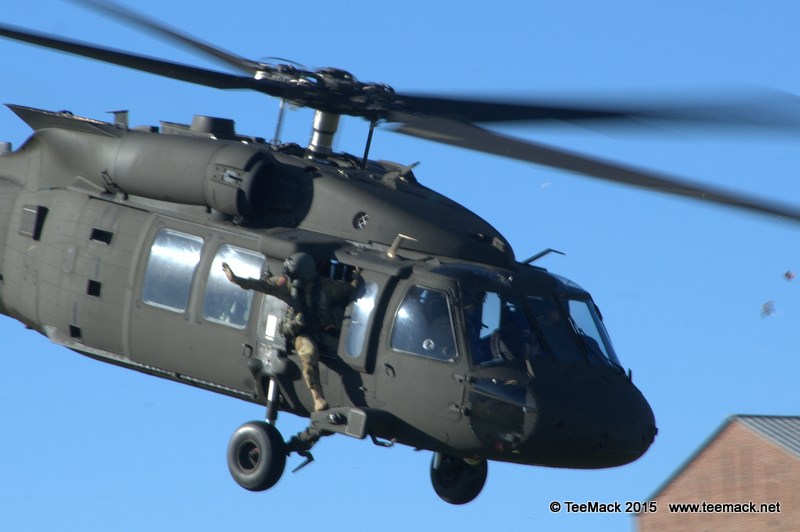 First to land was a U.S. Army Chinook Helicopter, then a U.S. Army Blackhawk, and finally a U.S. Army Apache Helicopter. Then there was a fly over by the Beechnutz Flying Formation Team. There was numerous demonstrations included the Overland Park Police Department remote control robot and the U.S. Army with some of it's Military Ground Support Vehicles. Also present at the annual event was the Kansas City Chiefs Mascot, KC Wolf, and also Blue the KC Sporting Mascot. Even though it was a bit chilly, everyone seem to have a great time. Click here to view photos of the event.